Tomorrow is the second match of the preseason against German minnows SV Waldhof Mannheim who play in the Regional League Southwest, which is the 4th division in Germany. This is a very small team, with only about 2600 club members though a pretty old club, founded in 1907. 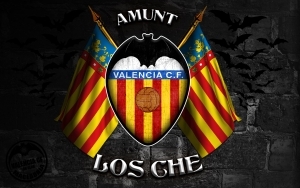 Valencia CF stumbled in its first obstacle against another German club who played in the second division and lost 2-1, will this match be different? Losing to this team though would be terrible, I mean it shouldn't happen even if all the players were joking around and playing at 50%. Realistically this can be an opportunity for Djukic to try out different strategies and tactics and see how it works out, as well as asses the players fitness. The match starts at 19:00 O'clock CET and so far no broadcast or stream for it.